Being a Mom is the most amazing thing ever and the most special gift you could ever possibly receive! Those of you who are moms know what I am talking about, but with this amazing gift also come a whole laundry list (pun intended) of other to-do lists, challenges and tasks to get done day in and day out. 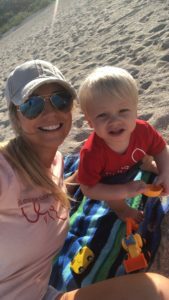 Not only is it ALL the tasks, but add in fulfilling every obligation of wife life, mom duties, keeping yourself motivated and on track as well as possibly working a part or full time job- some days sleep deprived, with no sick leave or vaca. Moms have pretty much mastered the art of multitasking to get all of these demands done day in and day out. 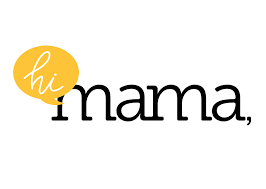 With all the demands placed on mama its no secret that us moms have gotten way more tech savvy and found ways to maximize our time to get these tasks done. Luckily, because these apps and gadgets have been created to make our life easier, they also make it super easy for us to stay connected with everyone, everywhere and anywhere like never before. In spite of all the conveniences, the planet- and MOM has gotten busier than ever. Having said that, your attention to your kids can become divided now. Choosing my words more carefully– Let us not underestimate the power of the words we say, the power of positive (or negative) statements can change our mood drastically. One sentence can change the course of our lives and not only how we feel but how it affects those around us. Try saying phrases like: ’it’s challenging’ rather than saying ‘it’s difficult’ or ‘I’m multi-tasking’ rather than saying ‘I’m swamped’. Small changes like this can make a big difference. And always remember our little ones are always watching and replicating everything we say and do. Start creating positive talk and thinking now for yourself and watch how it transfers over to your little ones. Lighten up- Every where I turn, I hear from people saying “enjoy this now, they grow up so fast!” And while I know this to be true (umm, hello- where did my baby go? He’s already a year and a half!!) I allow Jakey to just be a kid! I try not to be that overprotective/ helicopter parent that is micromanaging every little move. Our kids grow up way too fast and we need to allow them to just BE kids! Let them get dirty on the playground, enjoy a messy dinner and just enjoy being a kid! Don’t we just all wish we could go back and enjoy the little moments like this too? Do not forget to be a wife to your husband. As the demand goes up of becoming the “perfect mother”, being a wife at some point can get compromised. Always remember to keep the MAIN thing the MAIN THING! Being a mom is amazing but you were a wife before you became a mom. Continue to date your mate, plan date nights and show your partner that they are still a priority. Finding and making time for yourself is so important! Find time to hang out with your friends, get your nails done, go shopping ALONE or just get out of the house and go for a coffee. It’s crucial for mama to care for herself when she is constantly meeting all the needs and demands for everyone else. Make “Mom-Me” time a priority and watch how better, calmer more engaged as a mama and wife you will be when you get some alone time to yourself. You allow yourself to recharge, refresh and energize yourself into a brand new mama again who is ready to tackle anything! Every day, I’m taking a few minutes to remind myself that this time won’t last forever and that I should savor every single second with my “baby” now. I also practice gratitude every day and allow myself to be thankful for all the blessings in my life- big and small. Always remind yourself that you are lucky and blessed. Celebrate Motherhood. To sum all this up- it’s the little moments in the morning, on the playground, the little kisses and holding hands out of no where that I know I will look back and cherish (miss) the most! It’s those times when I’m able to step back and realize that these spontaneous moments with my son are richer, deeper, and more fulfilling than anything I could have planned in all my stressing and worrying about what was best for him. So mama, enjoy the ride, let your kids be kids and remember that this season doesn’t last forever. So relish in the moments, roll with the punches and just take a deep breathe! It will all work out!! Comment below and let me know how you are working on being more in the moment with your little ones or (trying) to be less of a stressed mama. We’re all in this together and I’d love to hear your feedback! 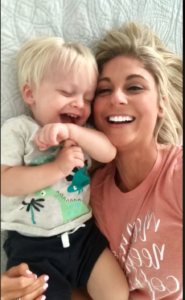 Make sure to also connect with me and other like-minded mama in my private Facebook Group – The Modern Moms Club where we chat all things baby, body, mom life and more! Can’t wait to connect with you over there!